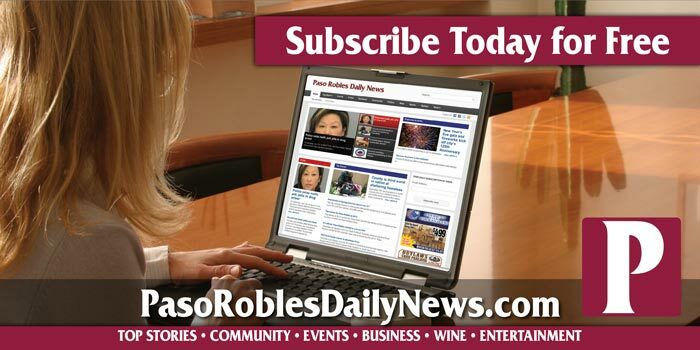 You are here: Home » Top Stories » Lake Nacimiento: Don’t eat the fish. Lake Nacimiento: Don’t eat the fish. The San Luis Obispo County Health Department warns fishermen at Lake Nacimiento to be careful of what they eat. 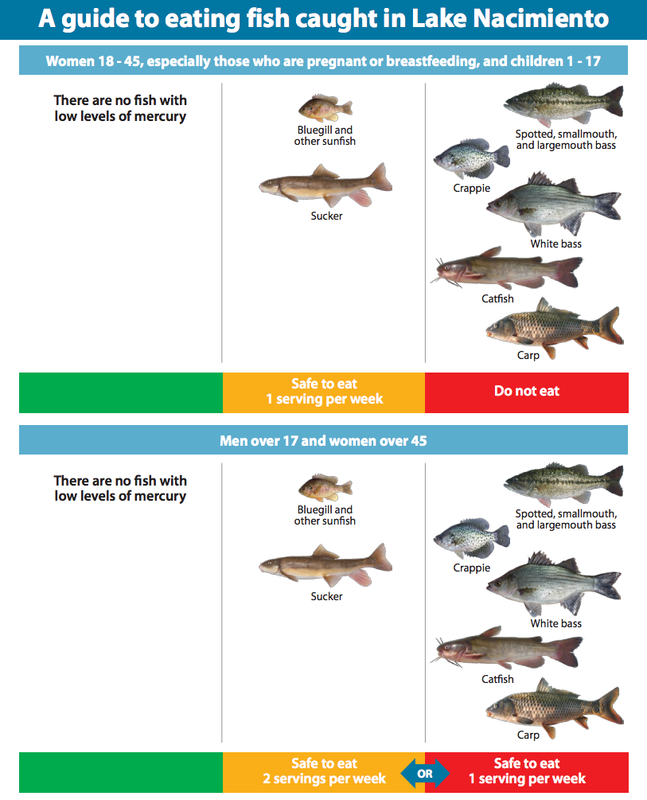 A county health advisory first issued in 2009 and still active today says, “There are no fish with low levels of mercury.” That means all the fish carry a certain level of risk. The advisory says that only blue gill and sucker fish carry a low enough level to consider eating. Women and children should eat the fish no more than once a week. Men may eat it twice a week. 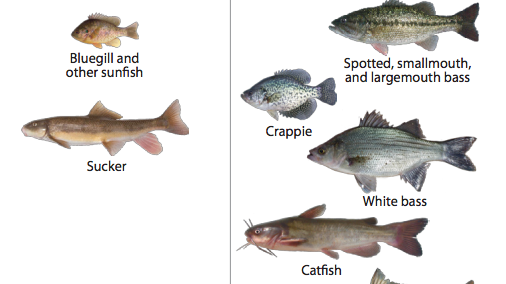 Fish labeled “do not eat” because of high mercury levels include the following: Spotted, smallmouth and largemouth bass, white bass, crappie, catfish and carp. According to the US Food and Drug Administration, the danger from mercury by eating fish is not usually a health concern for most people. 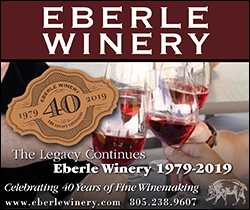 However, certain fish, like those in Lake Nacimiento, contain levels of mercury that may cause harm to an unborn baby, especially its brain development and nervous system. In a young child, high levels of mercury can interfere with the development of the nervous system. San Luis Obispo County Health Department advisory.